The summer collections are rolling in and summer-like weather is finally reaching my neck of the woods here in Western New York! So what's not to love these days? 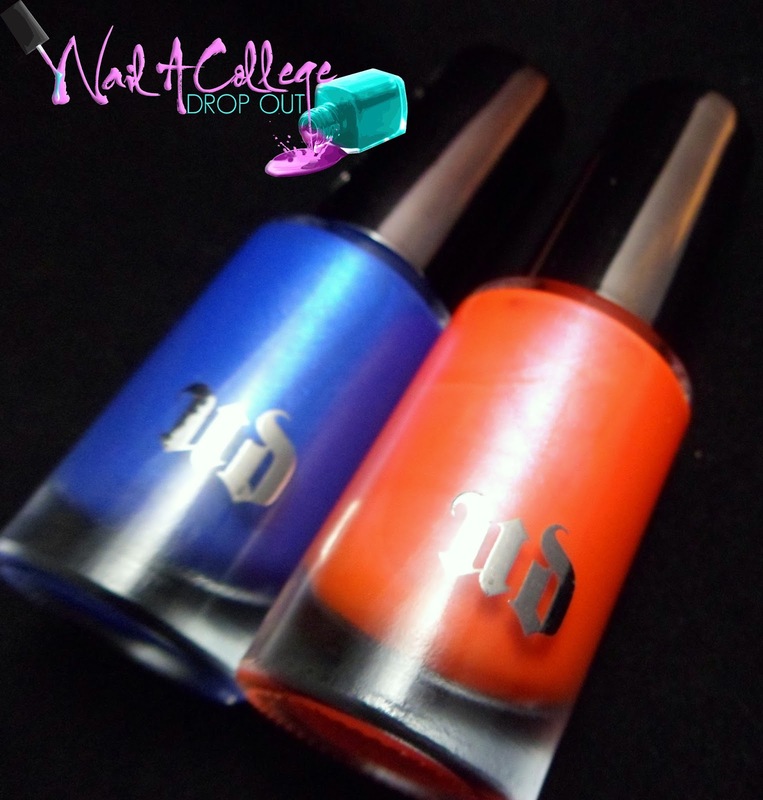 Anyway, Urban Decay released a duo of nail colors that I was instantly attracted to and I just had to see what UD is working with. When I got these two shades I couldn't decide if I wanted to wear them alone are do some stripped nail art with them so I went with both. 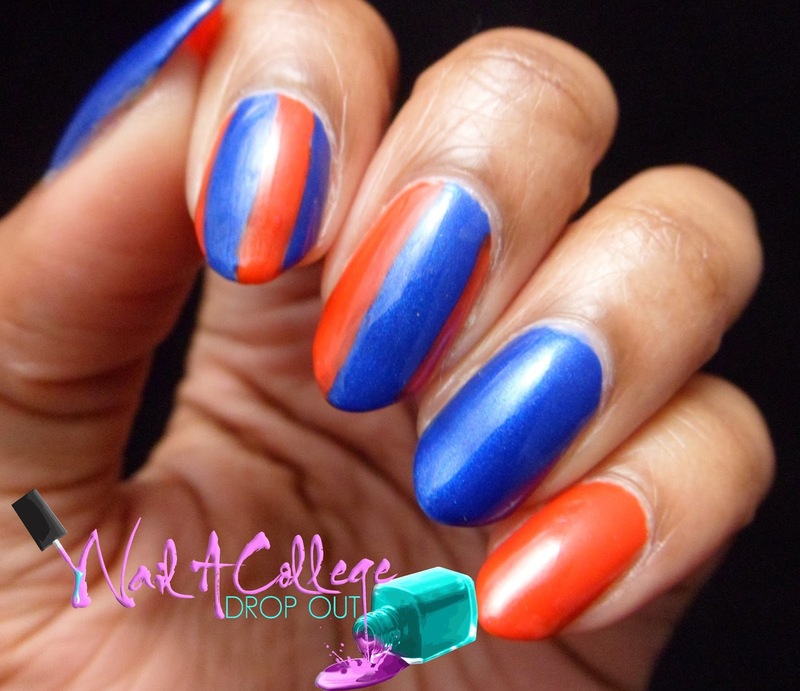 Prior to this mani I hadn't used any Urban Decay products and had no idea as what to expect from their lacquers but I was pleasantly surprised with the formula and the pigmentation of these two shades. Chaos (cobalt blue with pearl shimmer throughout) was very sheer after the first coat causing my immediate thought to be, "well I guess this one will be a 3-4 coater," so imagined how happy I was to see full coverage after the second coat. Bang (orange-red with subtle blue shimmer) became fully opaque in two coats--just like Chaos--but on the other hand, Bang was very promising from the very first coat of color. At first glance I liked the colors but didn't really see how they fit together, but then I noticed the subtle blue shimmer in chaos and it all made sense. Urban Decay Nail Color retails for $15 per 9mL bottle on UrbanDecay.com. 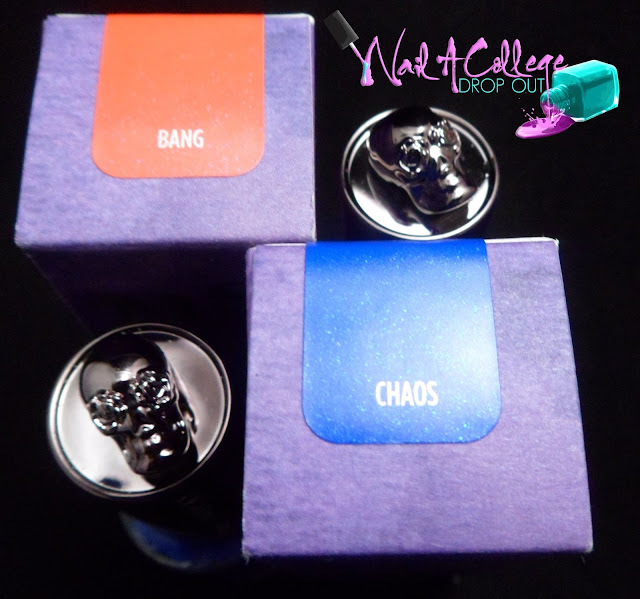 How are you feeling about this Urban Decay duo for summer 2014? What a fun set! We finally have summer weather here, too.